I’m a big fan of veteran Apple blogger Jim Dalrymple and his insightful, unapologetic writing over at The Loop, where he’s Editor-In-Chief. You could say Jim is something of a personal hero to me, at least when it comes to blogging about Apple. While people who follow @jdalrymple on Twitter know him as ‘The Beard’, Jim’s an Apple journalist’s favorite go-to source whenever a major rumor needs confirming. With his deep connections at Apple, he occasionally lends his aura of credibility to unconfirmed stories with a single ‘yep.’ And his proverbial ‘nope’ is well-regarded for shooting wacko reports by major outlets. 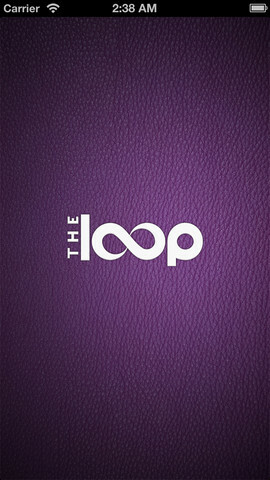 Simply called The Loop Magazine, the digital publication features The Loop’s recognizable purple color scheme and clean layout stripped of all bells and whistles, with just a handy navigation bar on the left. The app also has standard sharing options (Safari, Twitter, Mail and Messages), a built-in web browser to open URLs and author bio pages. 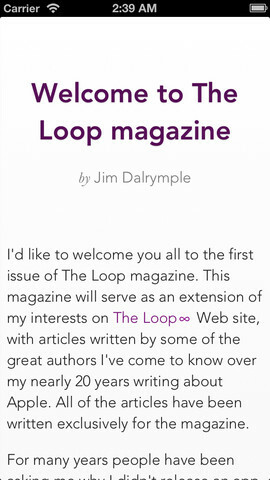 The Loop magazine will serve as an extension of my interests on The Loop web site, which includes music, design, technology, games and Apple, among others. Each issue will feature a number of really great authors that I’ve come to know and respect over my nearly 20 years writing about Apple. 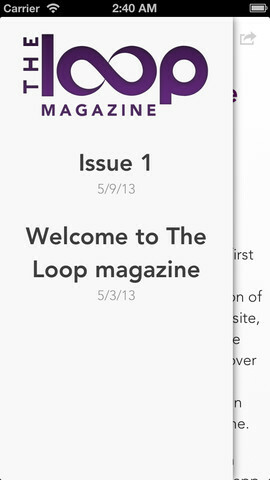 The one thing I did want to address is the Web presence for The Loop magazine. Here’s what I’ve decided to do. When an issue publishes, I will put one article on the web that will be free for everyone. I will also publish partial articles for the remaining stories of that issue, with a link to subscribe to The Loop magazine. When a new issue is released, I will look back at the stats for the previous issue and release the most read article for free. Over the following few weeks, the remaining articles will be made available for free on the web. Subscriptions are $1.99 per month, which includes access to all back issues (issues are not sold individually). 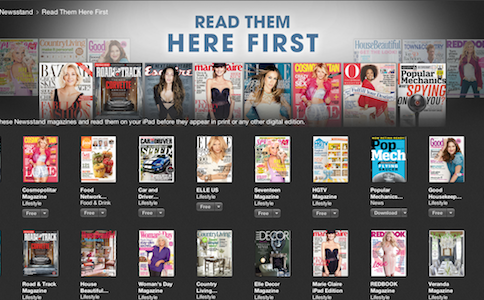 You can download your free 7-day trial or subscribe to The Loop Magazine through Apple’s Newsstand app. Or, just go and download your copy on the App Store. 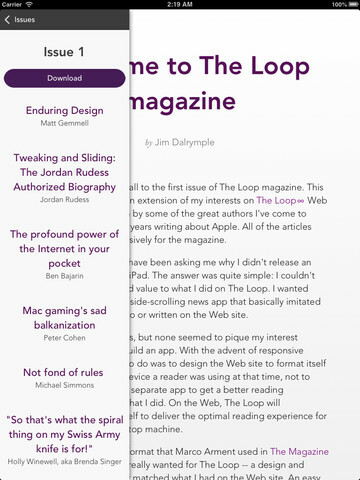 The Loop Magazine on iPad. I began publishing on the Internet in 1994. At that time traditional media outlets were having a tough time getting their heads around publishing to that new platform, and in some ways they are still struggling. I was convinced that the Internet was a big shift in publishing and it was. There have been a lot of attempts in the intervening years to bring magazines to the digital realm, but I haven’t taken the plunge until now. None of them seemed right to me. Apple’s Newsstand is the first time since 1994 that I’ve felt another shift in the publishing industry was upon us, so I jumped at it. 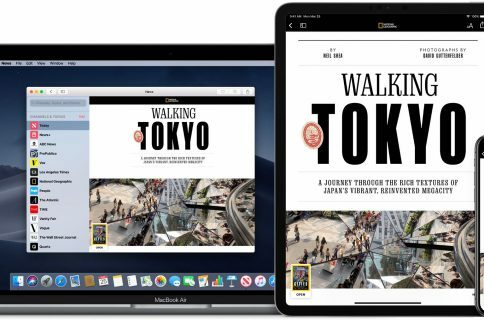 Apple takes care of distribution, payments and the business side of things, leaving the publisher focus on what they do best – publishing great content. In some ways, I feel like I’m back in 1994. 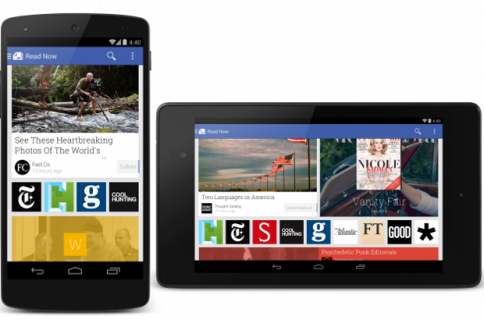 The traditional magazine outlets are having a hard time wrapping their heads around platforms like Newsstand and the best way to publish content. 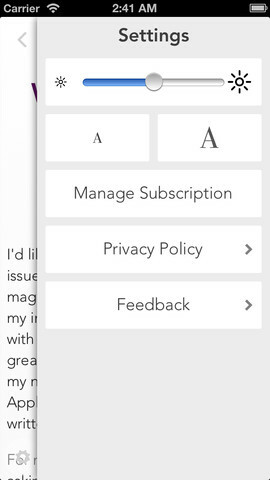 I’m confident that offering readers exclusive long-form articles in a clean app is the way to go. A passionate guitar player, Jim has written a number of guitar related articles over at The Loop. 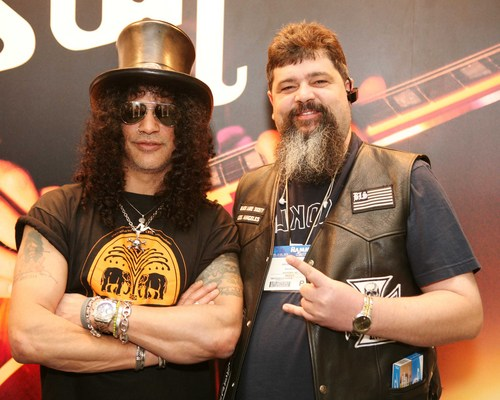 Check out the money shot below, that’s him and former Guns N’ Roses guitarist Slash. 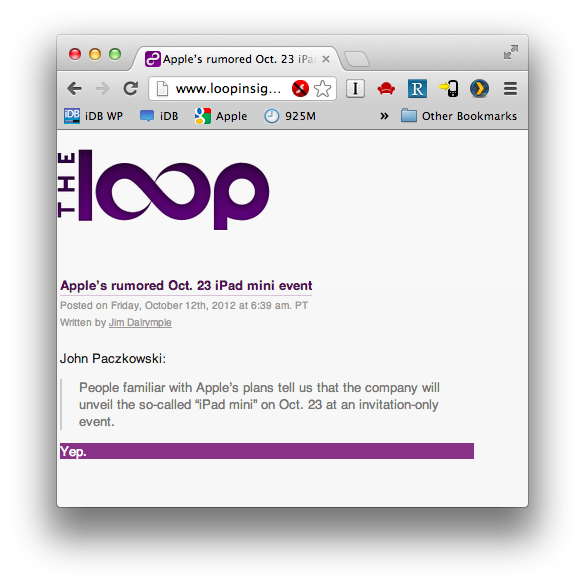 On a related note, The Loop co-founder Peter Cohen recently joined iMore as Senior Editor focused on Mac and gaming content. Increased competition in Apple reporting should hopefully benefit you, readers. And by that I mean less sensationalistic clickbait headlines and more interesting stories, howtos, reviews and other goodies that are relevant to you.